It is well-known that Prophet Muhammad was a very caring husband and family man. He overlooked many mistakes of his family members. Nevertheless, when the situation required expiation or compensation, he ensured that it was given. As an 18 year old, non-Muslim American, the first time I met a raised-Muslim woman, I came face to face with misconceptions I held about women in Islam and Muslims … literally. I looked into the gorgeous eyes of an Indian Muslim woman who could only be described as the inspiration for Jasmine from Aladdin. I watched her kind manners, listened to her intelligent conversation and boisterous fervor for life, and decided that this woman couldn’t be like all the rest or “them”. She couldn’t be like all those sad submissive and oppressed women from “that” part of the world. As I got to know this mysterious woman, who I thought had defied all the traditions of her religion and culture, I came to realize this idea of her was a part of my own misconceptions, and all the myths I had held to be true about Islam’s view and treatment of women began to fall away one by one. Fasting — or any other regularly enjoyed, good gift from God — for the sake of some spiritual purpose is markedly counter-cultural in our consumerist society. We fast in this life because we believe in the life to come. We don’t have to get it all here and now, because we have a promise that we will have it all in the coming age. We fast from what we can see and taste, because we have tasted and seen the goodness of the invisible and infinite Lord — and are desperately hungry for more of Him (May He Be Exalted). Listen with your heart as Shaykh Mokhtar Magharoui distills ancient wisdom to re-ignite your Ramadan and your spiritual life. The Muslim Daily Prayers: Why 5 Prescribed Times? Like many who have come before me and many who will come after me, I have felt a dramatic shift in my life when I came to Islam. Many describe this as a lifting of fog. Some have said that it feels like a weight being removed from their shoulders. Serenity is a light from Allah and a relief to which resorts the fearful, in which the anxious finds comfort. It entertains the depressed, appeases the tired, strengthens the weak and guides the confused one. This serenity is a window that Allah opens upon Paradise to the believers among His servants, a window from which the heavenly breeze blows, the light shines, and the fragrance emerges. It’s a foretaste of what the believers offered as good deeds, and a preview of what is awaiting them as pleasures and delights. 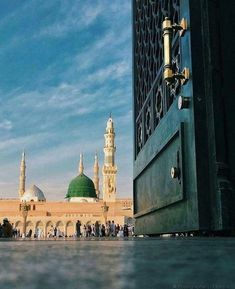 The pinnacle of goodness is accepting the oneness of Allah, believing in His prophets, His angels, His Divine books and His decrees, either good or bad. Then this is followed up with practical actions of worship and being merciful to those around you and to the environment that you live in. Below we take a look at few other things that make a person ‘good’. After the belief in Allah and the performance of the tasks of worship as prescribed in Islam, being generous to Allah’s creatures on earth is the next most sacred form of worship. A good Muslim ought to be kind-hearted and compassionate towards all of Allah’s creatures on earth. Treating your fellow human beings with dignity and respect, offering them financial and moral help whenever possible, protecting animals and the environment, eating up or using the bounties that Allah has availed His creation only when necessary, are all acts of goodness. A good Muslim does not harm the people around him. He does not unnecessarily kill the animals around him nor does he destroy his environment. These are all acts of generosity and are rewarded by Allah if done for His sake. We as Muslims, and indeed as human beings, are not asked to never feel emotions. But we are asked to be in control of ourselves despite what our emotions tell us to do. We are taught that our emotions can lead to bad actions that can not only hurt us, but also hurt those around us. Islam guides us to understand that the way we deal with others is of the utmost importance, because everything we do should be for the sake of Allah. Our lives, including our treatment of others, should be an act of worship. There are a number of reasons why God allows hardship and adversity to befall the human. I wrote an article about my journey to understanding the Quran. It was a process of years and a lot of reading, attending lectures, and studying complementary texts and a foreign language. And that journey is not even close to being over. It was an intensive path and continues to be, so much so that it has become a career. But I get it. Not everyone has time for that. However, that doesn’t mean that if you don’t make understanding the Quran your career, you won’t be able to engage with the Quran in a meaningful way. As a new convert to Islam, what should you do if you find yourself in a hostile environment being targeted and attacked with abuse for being visibly Muslim (for example, wearing hijab or having a beard)? In this situation, the sense of injustice you feel is likely to be very strong. This is a perfectly natural feeling. But patience is the key to dealing with abuse and coping with injustice. He (SWT) tells us that if we go to Him walking, He will come to us running. In my human relationships, I feel like I am often the one running after others while they walk away from me.